Less than 20% of UK small and medium-sized enterprises (SMEs) back up all of their data, a study has revealed. The survey of IT managers at UK SMEs, commissioned by IT services firm Onyx Group, highlights a number of ineffective data storage practices that are leaving companies at risk from data loss or theft. Despite the fact that 88% of businesses surveyed have disaster recovery and business continuity plans in place, more than 25% have lost some critical data in the past two years. Onyx Group CEO Neil Stephenson said it is a concern that mission-critical data is not being protected properly, as data preservation and the ability to retrieve data at any time is the foundation of business continuity. “Add to this the fact that data protection regulations are increasingly stringent, and it is even more surprising that so many companies are still experiencing data loss and failing to implement the necessary data protection procedures,” he said. The research also revealed that 23% of companies still store data on tape. This is despite the fact that 50% of all tape backups fail to restore, according to Gartner research. “There is an obvious need for companies to rethink their data protection strategies and to take advantage of more sophisticated methods of securing data, such as online backup into secure datacentres,” said Stephenson. Gartner research has shown that 50% of businesses that suffer disruption from data loss can go out of business within two years, either be due to lost revenue as a result of the disruption or as a result of subsequently failing to meet compliance regulations. The research from Onyx Group has shown that many organisations are not always giving thorough consideration to the security aspects of data backup. For example, 49% of businesses fail to encrypt valuable data, and 71% back up only their central or server-based data. Even if data is not critical to the business, loss of data, including emails, contacts and work in progress, can have a big impact on productivity, said Stephenson. “Best practice data protection systems should allow a company to recover its most critical data first and then use a stepped approach to recover less essential information. 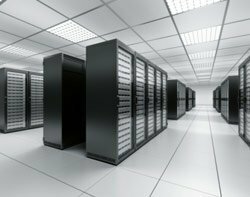 Offsite backup to a datacentre is more secure than onsite backup, which is typically at greater risk,” he said.